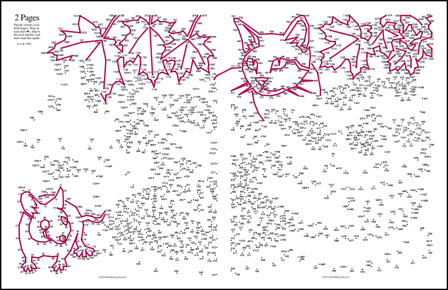 Publisher, Monkeying Around announced this week that it has surpassed the ½ million mark in sales of its popular Greatest Dot-to-Dot, Dot-to-Dot Super Challenge and Newspaper Dot-to-Dot books. Following the recent release of Super Challenge Book 8 the connect-the-dot puzzle series quickly reached this exciting milestone. There are puzzle writers who write for 40 years and never reach those numbers. It is most impressive. I hope he calls me when number 1,000,000 has sold. He will be there before you can blink. Puzzle designer and independent publisher, David Kalvitis, reached a personal and professional goal this summer when his popular Greatest Dot-to-Dot book series surpassed the ½ million mark in sales. It is a goal Kalvitis began working toward with the release of his first book in July 2000; a goal met a decade later following the release of his Greatest Dot-to-Dot Super Challenge book 8. Kalvitis met the growing demand for more puzzles with the release of The Greatest Dot-to-Dot Book 2 in 2001 and has continued to release books annually ever since. 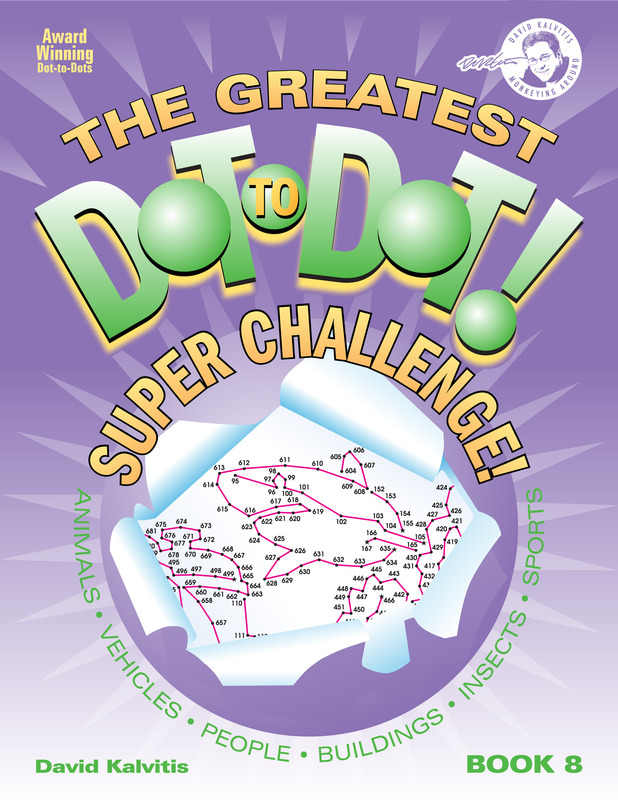 With the recent release of The Greatest Dot-to-Dot Super Challenge book 8, there are currently 14 books available on the market. Within a few years of their debut, The Greatest Dot-to-Dot series branched out into international markets. Laura Beatrice Ricks, buyer for Den Gamle Skole catalog, stated, “We have sold Monkeying Around’s Dot-to-Dot books since 2005 and they have been a great success in Denmark. We will certainly be continuing with them in the years to come and we always look forward to a new book being published.” With two more books to be released in February 2011, Kalvitis's customers in Denmark and around the world will not have to wait long for new Greatest Dot-to-Dot challenges. Greatest Dot-to-Dot Super Challenge Book 8 "Double page" (1,490 dots) puzzle from Super challenge Book 8. Download Free Sample pdf "Sets" puzzle from Super Challenge Book 8.